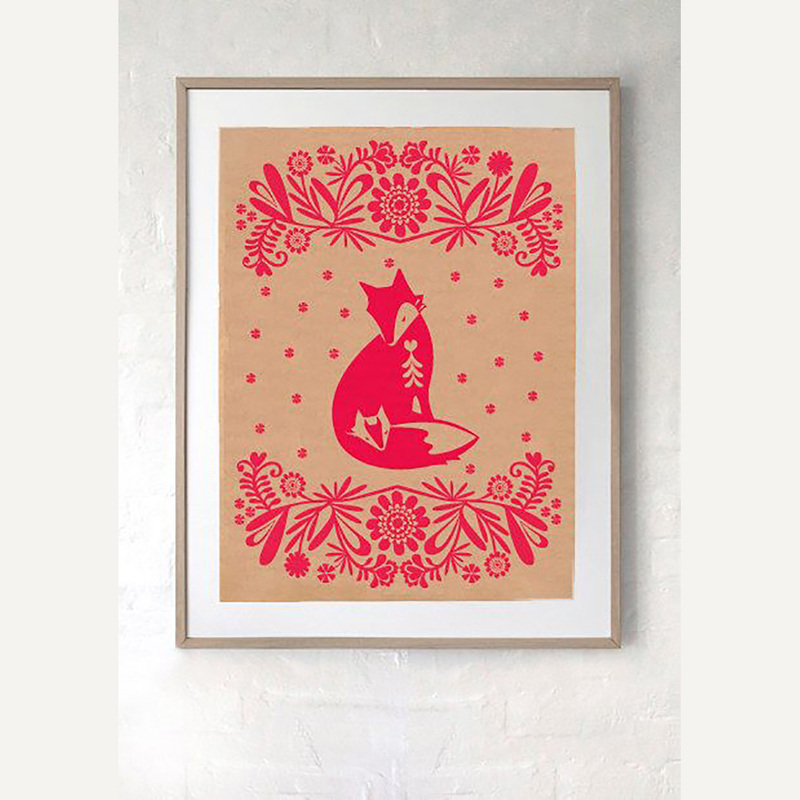 Laikonik’s original Polish folk-art inspired designs hand silk-screen printed in coral red onto high quality recycled natural kraft paper. Frame it to display, hang as is from laikonik's timber hanger (also available) or even use it to wrap a special parcel such as a wedding gift. Made in Australia. These products are posted in roll tube to prevent creasing. Sheet measures approx. 57cm x 76cm. Fits Frame 50x 70cm or you could choose a larger frame to allow more space around the print for impact. Please note: Listing is for paper print only. Frame is not included.